East Longitudes : 76o 17' 30"& 76o 40'. Carved out of the erstwhile Kottayam and Quilon districts, Alappuzha(Alleppey) district was formed on 17th August, 1957 and consisted initially of seven taluks, namely Cherthala, Ambalappuzha, Kuttanad, Thiruvalla, Chengannur, Karthikappally and Mavelikkara. Area- 1,414 Sq.Km. which constitutes 3.64% of the total state area. The population size- 2,105,349 which is 6.61 % of the state population. Population density - 1492 persons per Sq.Km, against 1415 in 1991- retains the first position in the state. The district is a sandy strip of land intercepted by lagoons, rivers and canals. There are neither mountains nor hills in the district except some scattered hillocks lying between Bharanikkavu and Changannur blocks in the eastern portion of the district. Cherthala, Ambalappuzha, Kuttanad and Karthikappally lie fully in low land region. There is no forest area in this district. Laterite Major portion of Chengannur & Mavelikkara coconut, arecanut,fruit trees etc. The most relevant crystalline rock type is Charnokites. Residual laterite is the resultant product of the in situ alteration of the crystalline rocks. Warkalli beds consist of a succession of variegated clays and sand stone. The coastal belt consists of recent sediments like aluvium, marine and lacustrine. The two most important minerals which occur in large quantities in the district are glass and foundry sand. Lime shell is exploited commercially. High quality sand deposits occur between Alappuzha and Cherthala which form a stretch of 35 Km in length along the western side of Vembanad lake. Large quantities of sand are being mined at Pallipuram for manufacturing sand lime bricks. Vast deposits of lime shell occur in Vembanad lake covering an area of 15 Sq.Km. upto a depth of 8 metres between Pathiramanal and Vaikom. China clay and ordinary clay which occur in various places are used as building materials. The raw material required for granite carving is obtained from Chengannur. The district has a network of rivers, canals and backwaters. Manimala, Pampa and Achancovil are the major rivers. It originates from Mothavara hills in Kottayam district enters the district at Thalavadi village in Kuttanad taluk and passes through Edathua and Champakulam villages and joins the Pamba river at Muttar.The villages of Manimala, Mallappally, Kaviyoor, Kalloppara, Thalavadi, Kozhimukku and Champakkulam lie in the course of the river Manimala. It has a length of 91.73 Km and drainage area of 802.90 Km. Pamba, the third longest river in Kerala is formed by several streams originating from Peerumedu plateau in Idukki district, enters Alappuzha district at Chengannur and flows through Pandanad, Veeyapuram, Thakazhy, and Champakulam through a distance 177.08 Km and plunges into vembanad lake through several branches such as Pallathuruthi Ar, Nedumudi Ar and Muttar. The river has a length of 117 Km and is navigable to a length of 73 Km. The catchment area of this river is 1987.17 Sq.Km. The main tributaries of the river are Pambayar, Kakki Ar, Arudai Ar, kakkad Ar and Kallar. This river often known as Kulallada river, originates from Pasukida mettu, Ramakkal Theri and Rishimalai of Kollam district enters the district at Venmony and has a catchment area of 1155.14 Sq.Kms and a marginable length of 32.19 Km.It passes through Cheriyanad, Puliyoor and Chengannur villages, enters Mavelikkara Taluk at Chennithala, flows through Thriperumthura and pallippad villages and joins Pamba at Veeyapuram. The Vembanad lake, the most important of the west coast canal system has a length of 84 Km and an average breadth of 3.1 Km. It covers an area of 204 Sq.Km. 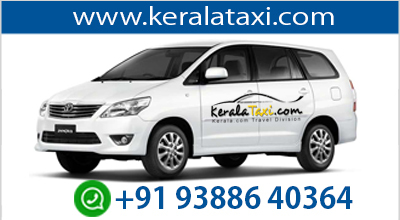 Stretching from Alappuzha to Kochi it borders Cherthala, Ambalapuzha and Kuttanad Taluks of Alappuzha district, Kottayam, vaikom and Changanasserry taluks of Kottayam district, Kochi and Kanayannur Taluks of Ernakulam district. Pamba, Achankovil , Manimala, Meenachil and Muvattupuzha rivers discharge into this lake. Pathiramanal, often called the mysterious sand of midnight, having coconut palms and luxuriant vegetation is situated in the centre of this lake. Perumbalam and Pallippuram are the other islands in this lake. The Thannermukkom regulator constructed across Vembanad lake between Thannermukkom and Vechur is intended to prevent tidal action and intrusion of saline water into the lake. It is the largest mud regulator in India. Alappuzha has a flat unbroken sea coast of 82 Km in length which is 13.9 % of the total coastal line of the state. An interesting phenomenon of this seacoast during the month of June is the periodic shifting of mud bank popularly known as "Chakara" within a range of 25 Km in Alappuzha-Purakkad coast due to hydrolic pressure when the level of backwater rises during south-west monsoon.